"Perfect and professional service, warm and caring staff." "I love this office. It's professional, clean and friendly." 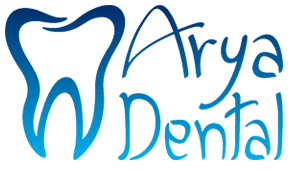 "The quality of dental treatments is very high..."
At Arya Dental in Fullerton, California, patients can count on expert dental services delivered with a gentle, compassionate touch at affordable prices. Saeed Mokhayeri, DDS, and Hengameh Safarcherati, DDS, lead the team of dental professionals at Arya Dental, where they welcome every patient like family. The practice offers a comprehensive range of preventive, restorative, and cosmetic dental treatments ranging from dental exams, prophylactic cleanings, and deep periodontal cleanings to cosmetic treatments such as Zoom® teeth whitening, veneers, and Invisalign®. Arya Dental also offers full smile makeovers to give patients the picture perfect smiles they’ve always wanted. They offer state-of-the-art cosmetic dental treatments delivered with a personal touch. Arya Dental treats patients with dignity and respect. The dentists never overbook to make sure that no one has to spend too much time waiting for their appointment. The office is conveniently located and provides a comfortable and professional environment. Arya Dental accepts most insurance plans and is currently welcoming new patients. Arya Dental also offers affordable payment plans with CareCredit. Appointments are available by calling the office or booking online. The following insurances are currently accepted at Arya Dental. Check back soon for an updated list or call our office to ask about your specific insurance details. If you have an insurance that is not listed, please contact our office to confirm coverage. What’s a Deep Dental Cleaning and Why Would I Need One? There are times when you need to go the extra mile to protect your dental health with a deep cleaning. This tooth- and gum-preserving procedure will keep you smiling for years to come. "I had two fillings done and Dr. Saeed was very professional, thorough, and attentive. My previous dentist does not compare." "Dr Safarcherati and Dr Mokhayeri are both very professional and knowledgable. They both took their time to address my teeth problems..."